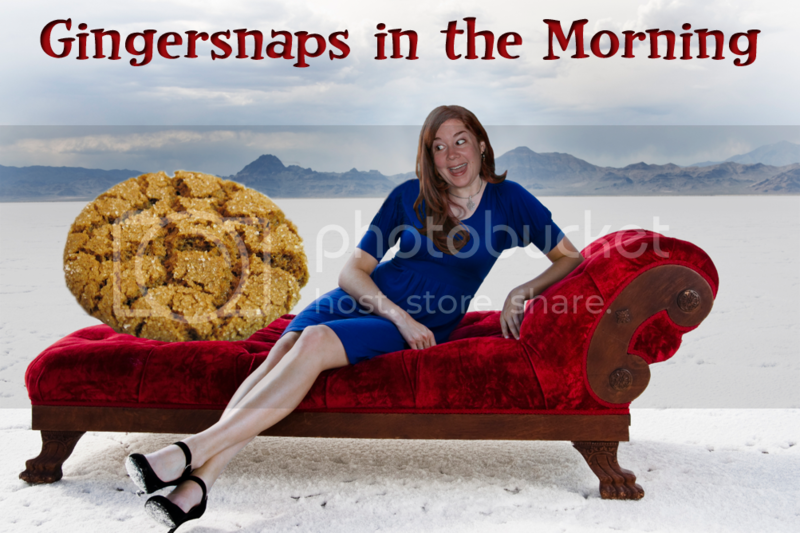 Gingersnaps In The Morning: Food Fight! 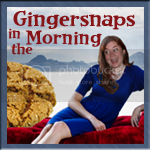 Water-retention Wednesday, my gingersnaps. How is hump day treating you so far? Sometimes there are lines you just don't cross. Like eating another woman's cookies. 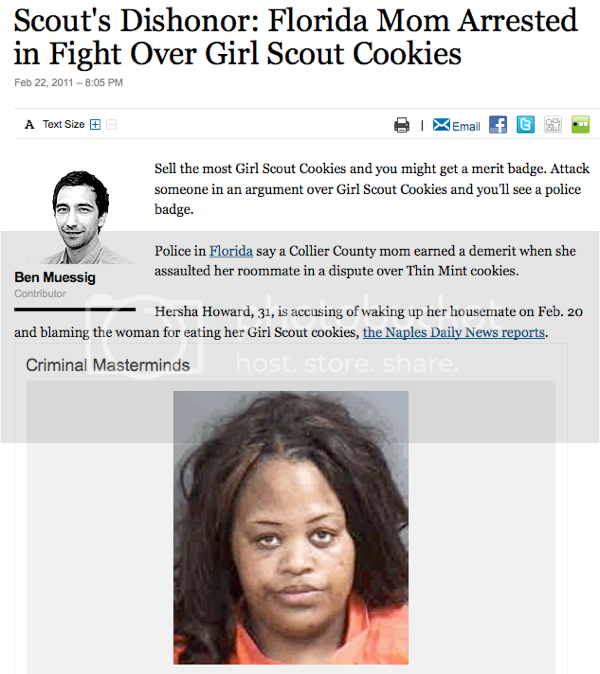 One Florida woman was arrested after finding her roommate ate her Thin Mints. She woke up the roommate and fought with her re: the missing cookies. I don't know about you, but I kind of side with the lady who lost her cookies. You don't mess with a girl's cookies. Especially if they're Thin Mints. Roomie only got what was coming to her. 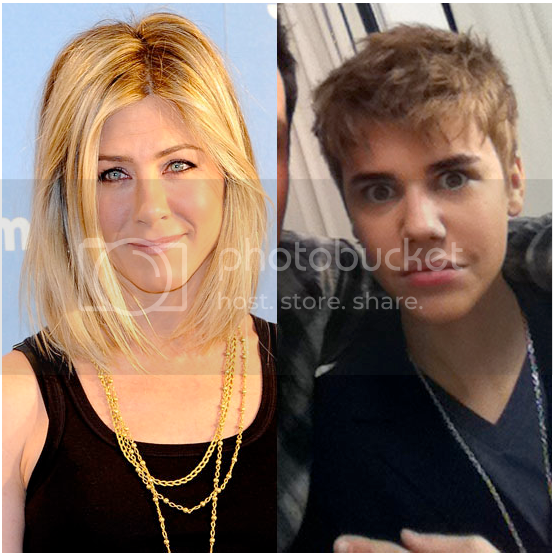 Newsflash... Jennifer Aniston and Justin Bieber just got haircuts!!! Gosh I wish it was this big if a deal when I got my haircut. Okay, not really. Justin Bieber is selling off his few inches of hair that was cut off, for charity. Seriously, what can they do with 1-2 inches of Bieber hair? Other than making a new rug for John Travolta. 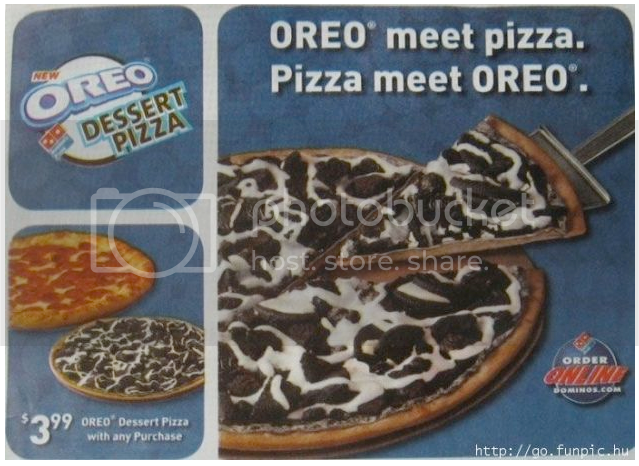 I don't know if this is a current deal or not, but I'd like to meet an Oreo pizza. Double toppings please. When they made the Nimbus 2000, they never intended it to be used this way. 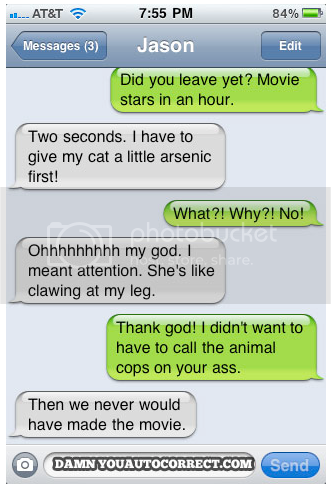 Silly Muggle. There are more tigers in captivity in Texas than in the wild globally. Experts believe that the global wild tiger population has fallen below 3,000, which is less than 3% of the total a century ago! In India, some famous tiger reserves have been completely depleted! There are around 5,000 captive tigers in China alone, with an additional 8,000 worldwide. The Chinese banned the trade of tiger products in 1993, but the demand for illegal parts still remains high and continues to drive the poaching industry there. The tiger problem has gotten so severe that Russian Prime Minister Vladimir Putin has taken an interest. In an effort to help tigers Russian researchers are tagging and actively monitoring the country’s tiger population. You can even track the movements of a tagged tiger on Putin’s website. Check out this New York Times column to learn more about the threats facing the world's tiger population and don't forget to check out Putin's site to check where his tiger's been. How 'bout that wall hanging behind the Muggle with the Nimbus. If you're going to have your picture taken with a broom under your hoobity mcboobities, why wouldn't you at least smile with some pride? Love the mugshot of the cookie thief beater! There is SO much being communicated by that smirk. I feel like I can hear the, "mmm, hmmm. I beat her a**"
Justin Beaver looks like a lesbian now more then ever..lol No disrespect to lesbian, you girls rock! I would beat up someone if they stole my Thin Mints. Those cookies are HEAVEN. Um...hey, Bieber..what up with the crazy eyes?